No one ever suspects the cat lady of anything. Susan Cooper (Melissa McCarthy) is a member of the CIA. But, she isn’t one of those agents out in the field. She does her job from a desk, assisting her colleagues such as Bradley Fine (Jude Law) in a 30,000 foot view role supplying the details of a given mission. By no means a thankless job, Susan does desire getting out into the field one day. That one day comes when Agent Fine, Agent Rick Ford (Jason Statham), and all other agents are all compromised in a particular mission involving Rayna Boyanov (Rose Byrne), an international arms dealer looking to sell a potentially world-ending weapon to the highest bidder, including terrorists. An unassuming person is needed to get close to Rayna, and Susan’s number is called. Although having no formal field training in 10 years, there is no time for the farm. Susan education in becoming a Spy is going to be trial by fire. As of this writing, Mission: Impossible-Rogue Nation is a month and a half away, and Spectre is a little under five. 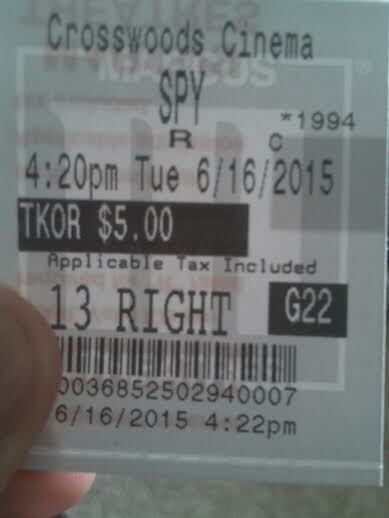 That doesn’t mean that 2015 has been devoid of espionage flicks, though. With Kingsman: The Secret Service and now simply Spy, the year has brought movies that draw inspiration from the genre’s most widely known franchises. Spy, while poking a little fun at the movies that came before it, is clearly its own, not so much a parody on the genre but one just set in the espionage world. Since breaking out in 2011’s Bridesmaids, Melissa McCarthy has become one of the faces of comedy, male or female. In Spy, she is reunited with Paul Feig, who directed Bridesmaids and well as 2013’s The Heat. It is clear that the two are on the same wavelength, and are a tandem that can continue to churn out film after film and make money on it. What Feig has done here, though, is make McCarthy’s character a bit more fleshed out than previous roles. Sure, the character motivation of “wanting to prove others wrong and do it for…” is used often, but works when done right, and it works for the most part here, even enhancing the comedy. The plot is basic, which is fine, with the obvious setup to kick the story into motion. And it moves at a consistent pace. The only time the two-hour length is felt is in the final act, where the movie becomes almost fully action-oriented and not all that impressive with something that is supposed to be the climax. However, Feig does well enough overall in directing the action, with a highlight being a catfight that manages to be visually impressive and somewhat funny. Even though Melissa has a more well rounded character than movies past, Melissa character’s in this is still stamped with her own brand of comedy. The self-deprecating weight bits are left out here, but the aggressive, sharp-tongued zingers remain. Some land, some don’t. In yours truly’s eyes, McCarthy is the female version of Kevin Hart; someone who has a huge following but seemingly just as many who dislike their comedic stylings. There likely isn’t enough here to convert someone from a McCarthy hater to a lover, but haters may be surprised with her if this is given a chance. The nice thing about this is the fact that though she is top-billed, others in the cast make their comedic presence known. Likely an unknown to most, British comic Miranda Hart plays Susan’s right-hand (wo)man, and best friend. She’s awkward, kind of horny, and energetic, and it is the type of role character that some people may love, and others could find annoying. I felt both sides of the spectrum. Fellow countryperson Peter Serafinowicz gets to be the guy who just wants to desperately make love to Cooper, and isn’t afraid to let his hands to the talking along with a goofy accent. Rose Byrne is no stranger to comedy at this point, but she has never been better here as a snobby, patronizing, and extremely cold rich villain who knows she’s this way, and doesn’t try to act like she isn’t. She has solid, mano a mamo moments with McCarthy that show her impressive wit and delivery. 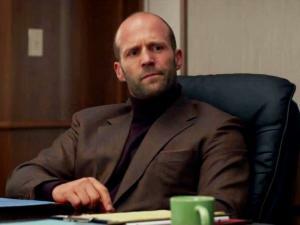 With all that said, the real scene-stealer happens to be Jason Statham, cranked up to a comedic role he’s never done before like he does here. Every scene that he appears in is an absolute riot, talking about his legendary, yet unverified and unfathomable, exploits. It is fun to see Statham as we’ve never really seen him before, and he appears to be having fun taking on some of his prior roles. Spy is a Melissa McCarthy vehicle, but the great thing about it is that there is enough outside of her from the rest of the ensemble to make this enjoyable for those who aren’t fans. Who knows? Perhaps this is the start of a Bond-like franchise. Nice review Jackson. Feig and McCarthy cannot be stopped! And I love it! People looking for a comedy right now should definitely go give this a view! Man, Jackson. Why can’t films, especially comedies learn how to stay around the 90-100 minute mark. It certainly sounds funny but not movie theater funny. Years ago I saw Dodgeball in the move theater. Funny and not too long. I’m sure I’ll see Spy on Netflix given the supporting cast. Statham can’t help being authentic, he just acts likes himself. He’s like a movie character in real-life. Good observation Andrew! I’m sure there are some comedies that are awesome that do get to two hours, but man, it does seem like those that run to or over the 2 hr mark begin to drag, doesn’t it? Exactly. I like Judd Apatow movies but they are way too long. A tighter script goes a long way. Use the excess scenes for another film.